The team at Natures Sway have kindly donated three carriers to our library. Natures Sway (NS) have recently added to their range – in addition to the NS sling which you probably already know about, they now also make a soft structured carrier (NS Pouch Pack) and a stretchy wrap (NS Carry Wrap). The NS sling is available in either 100% cotton or an organic blend of 55% hemp/45% cotton (which we have in the library). The design of the organic sling has been updated to make it easier to adjust and more comfortable for both you and your baby, especially in the hip carry position. The sling is designed to be used from birth till around 2 years old. 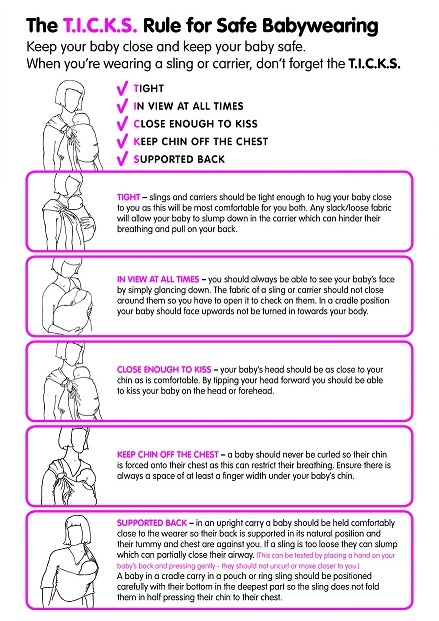 The slings are easy to adjust between different wearers as they do up with an adjustable buckle, and they are also great for breastfeeding in, as shown below. For more information on NS sling safety, see here. The NS Pouch Pack is a soft structured carrier so is more comfortable for extended periods of wearing and can be used from birth to around 3 years of age. It can be used as a front or back carrier, as well as on your hip if desired. Like the organic NS sling, the main fabric of the body is 55% hemp and 45% organic cotton, with a front panel available in several different patterns (we have a fabric sample book available for you to look through). The front panel has a zip to extend the height as your child gets older. The wide shoulder pads are padded with wool for comfort on your shoulders, although, like all SSCs, the waist strap means the weight is largely distributed to your hips. There is also some padding around the the bit where your baby’s legs go for added comfort. It’s easy to use, and folds up relatively small to put in your bag if necessary. The NS Carry Wrap is a stretchy wrap with a woven panel. The woven panel adds extra support around your baby’s spine and helps prevent sagging, while the 100% organic cotton knit on the rest of the wrap is comfortable for your shoulders and back. The woven panel (available in the same range of patterns as the panel on the Pouch Pack) also means it’s easy to find the centre of the wrap and tie it correctly. The wrap has a built in storage pocket so it’s easy to fold up and put in your nappy bag. NS have a great comparison chart available on their website comparing the features of each of these carriers to help you work out which one is right for you. If you’d like to check out any of these carriers, they’ll be available to try and/or hire at our slingmeets or you can email our librarian anytime. Thanks again to Natures Sway for making these available to us! 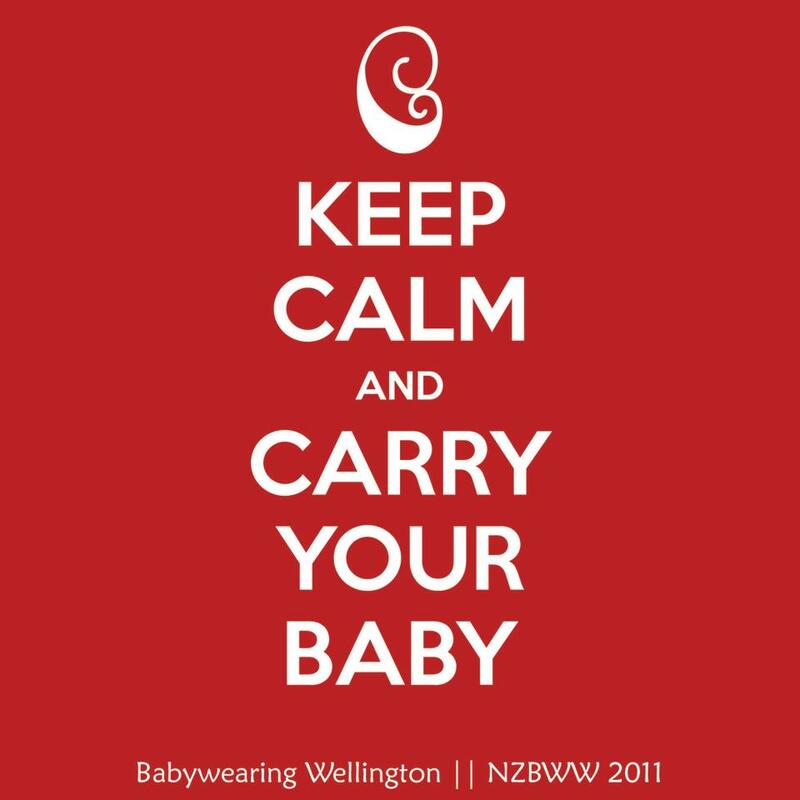 Tags: breastfeeding, Carry Wrap, Library, Natures Sway, Pouch Pack, review, sling, ssc, stretchy. Bookmark the permalink.